Ghent University invites applications for a full time tenure track position dedicated to research in Statistical Genomics. 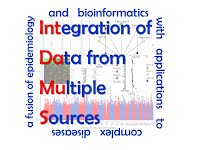 The position is funded by the Special Research Fund (BOF) as one of five tenure track positions in Bioinformatics launched at Ghent University as part of its Multidisciplinary Research Partnership in Bioinformatics `From Nucleotides to Networks' (N2N). This is an interdisciplinary field joining the expertise of scientists with different backgrounds to solve problems in (molecular) biology through computational means, which Ghent University has identified as one of their 5 areas of excellence. We seek an upcoming research leader with an outstanding scientific record in Statistical Genomics, motivated to play a major role in the high profile Multidisciplinary Research Partnership in Bioinformatics. The successful candidate is expected to engage in research related to one or more work packages identified by the partnership (www.nucleotides2networks.be): to 1) build streamlined pipelines to deal with increasingly large numbers of heterogeneous data, 2) integrate these data for further downstream analyses, 3) develop novel tools and approaches for systems biology (inferring and modeling biological networks), and 4) apply these tools and approaches to Sustainable Agriculture and Successful Aging. The successful candidate will be hosted within the Statistics research group at the Department of Applied Mathematics and Computer Science. The group is internationally recognized, primarily for its research on causal inference and robust statistics. More recently, the group has been developing closer ties with industry and government and develops targeted applied research, valorizing the academic work for innovation in society, through the consortium Stat-Gent CRESCENDO. This unit has its own scientific staff and operates across the university, in inter-faculty collaboration. The primary focus here is on life sciences, the analysis of electronic health records and genetics data. This position will initially be a five-year temporary appointment in a Tenure Track system dedicated to research, with a limited teaching load. The appointment will be made in the starting rank of assistant professor, with effect from 1 October 2011. Upon positive evaluation by the university board, the position will lead to a permanent position starting at the level of associate professor, at which point the teaching load may be revised. The governing language at Ghent University is Dutch. However, research is primarily conducted in English. Persons who do not speak Dutch as a native language are very welcome to apply and are expected to acquire a working knowledge of the language. Applications must be sent in duplicate by registered mail to the Vice-Chancellor of Ghent University, Vice-Chancellor?s Office, Sint-Pietersnieuwstraat 25, 9000 Ghent, using the necessary application form, together with proof of suitability (e.g., copies of the applicant?s diplomas). After preselection, candidates will be asked to submit a research project plan which fits into the research objectives of the Multidisciplinary Research Partnership. A description will be made available. The deadline for submission is April 29, 2011. The date of posting is accepted as the date of receipt. Further information concerning this vacancy is available on http://www.ugent.be/nl/actueel/vacatures/zap/BC20110214-bof01 and/or can be requested by contacting Stijn Vansteelandt (stijn.vansteelandt@ugent.be) or Els Goetghebeur (els.goetghebeur@ugent.be). The required application form for this position is available on the internet, http://www.ugent.be/nl/werken/aanwerving/formulieren/zap/formulier.doc/view or can be requested from Ghent University, F.A.O. Department of Personnel and Organisation, Sint-Pietersnieuwstraat 25, 9000 Ghent, or via telephone on. +32-9-264 31 29 or +32-9-264 31 30.